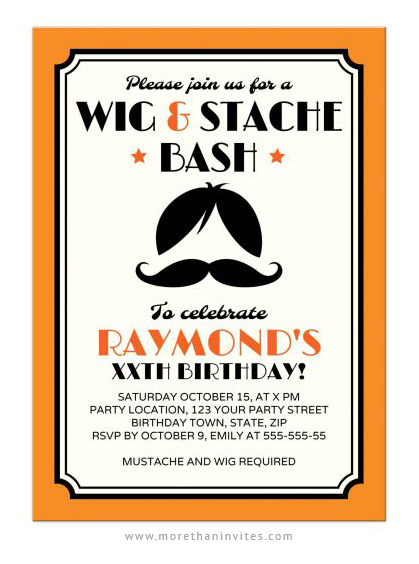 Wig and mustache bash birthday party invitations featuring a black wig and hipster handlebar mustache as the main focus. Along the edge is a black and orange border and the name is highlighted in a retro style font. Slightly off-white or cream coloured background. Available from Lemon leaf prints.